Murlee Moore, 88, passed away Tuesday September 3, 2013, at a local nursing facility. The funeral service is scheduled for 3:00pm Saturday, September 7, 2013, at North Park Baptist Church, Rev. Louis Johnson officiating, directed by Fry~Bartlett Funeral Home, Tuscola. Burial will be in the Tuscola cemetery at 5:00pm. A visitation for Murlee will be at North Park Baptist Church from 4 to 6pm Friday, September 6, 2013. Murlee was born to Robert Clarence and Della Anne (Kinney) Satterwhite on September 20, 1924, in northern Runnels County. She attended Lawn High School where she graduated at age 16. During WW II Murlee worked for Consolidated Vultee Aircraft Corporation in Fort Worth. She married Carlton Casey Moore in 1945. They first live in the Lawn area until 1949 when they moved to Abilene. She was a stay at home mother who raise their three children. In 1958 Murlee rejoined the work force as a watch assembly worker at the Timex Corp. In 1978 she went to work for Rita Barber where she was a seamstress 10 years. 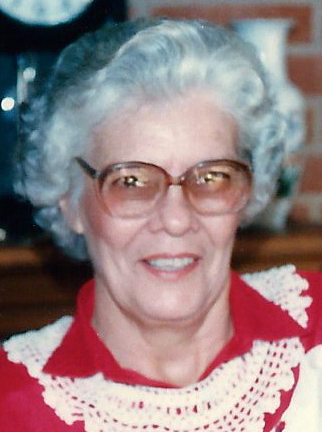 Murlee retired in 1987 to become a fulltime housewife, grandmother, and great grandmother. She was very active in her community as an adult leader in the Hamby 4-H club. She was also Hamby Home Demonstration Club and the Abilene Aggie Mom's Club. She has been a member of the North Park Baptist Church since 1950. She is survived by her three children, daughters Carolyn Griffith and husband Stanley of Abilene, and Jo Anne Hill and husband Orvel of La Grange, and son Randall Moore and wife Jan of Kula, Hawaii, sister Fae Ola Zimmerlee of Lawn, and brother Bobby Satterwhite and wife Peggy of Lawn. Four grandchildren Riley Griffith and wife Sherry of Abilene and their children Abigail and Stephen, Casey Griffith and wife Lauri of Dallas and their children Olivia, Maxwell, and Sophie, James Hill and wife Dana of Maple Valley, Washington and their children Kelsey and Garrett, Brent Hill and wife Michelle of Cedar Park and their children Regan and Zane, and Sara Moore of College Station. She was preceded in death by her parents, two sisters Elva Mae Barbee and Erma Sutton Wilder, and two brothers Orval Satterwhite and Granvalle Satterwhite. The Moore family would like to thank the Hendrick Hospice Staff and the Staff at The Oaks at Radford Hills for their loving care of our mother. In lieu of flowers memorials may be made to the North Park Baptist Church, 1525 Anson Ave, Abilene, TX 79601.